Burning Man is not perfect, and those readers who have responded to my posts by complaining that I’ve missed the “problems” in talking about the benefits may well have a point: I really try to sell Burning Man to people, because I want them to share in the experience. So focusing on the problems (e.g., rising costs of attendance, the possibilities of crime, health concerns in the harsh desert environment) is simply not my purpose. 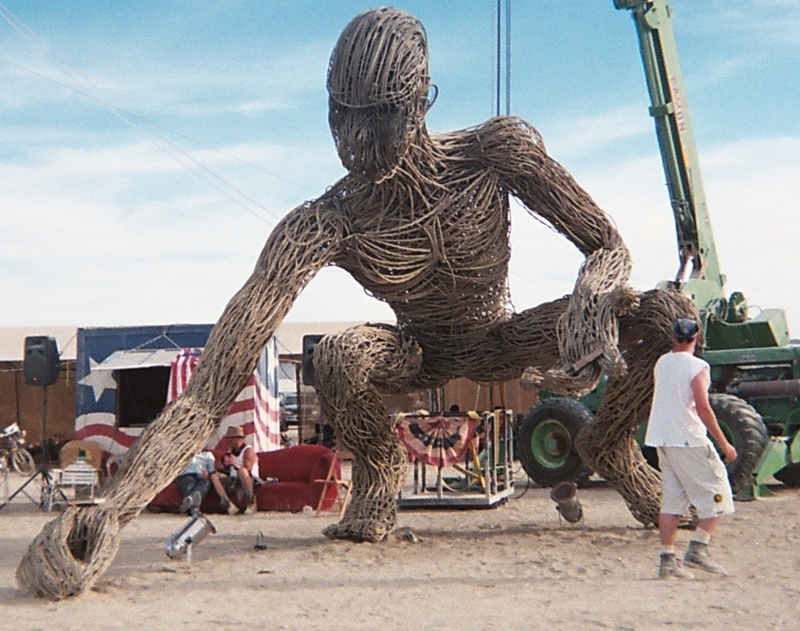 I want to honestly alert people to Burning Man’s imperfections, but also remind all of you that the overwhelming impact for me has been positive and exciting, and has added new dimension to my life. I’ll be turning 70 shortly after Burning Man 2014 ends, and I really appreciate how many ways Burning Man has added to the vitality to my life. That doesn’t excuse some of the negatives. To be honest, Lashes and I had our share of downers at the most recent Burn. But we also felt like it was the best overall Burn we had been to since our first (there’s just no way to improve on that first-time playa experience). So I’m pushing aside both my own negatives and some of the criticisms I read about our site, and moving forward with increased energy. We’re looking for new volunteer opportunities in the upcoming year because we’ve always found that playing an active role in Burning Man makes it a far better experience. With the help of some friends we’ve made at earlier Burns, we’re actively seeking to burst out of the limitations that we’ve created for ourselves by repeating too many of our experiences every year, and find new challenges. I’ve mentioned before on this site that there are plenty of ways people can apply their current skills or their willingness to learn new ones at the Burn. Learn to be a barista, help with some of the art projects, look into serving as a Temple Guardian or a Greeter, be a Lamplighter at least once during the Burn. You can find out about all the volunteer processes on the volunteering FAQ page. For those who feel like I’m overly positive about Burning Man, I give you my full respect and my appreciation of your views. But this blog is not the place where I plan to go into depth, either philosophically or journalistically, about what’s bad – because for us, it’s been such a great enhancement of our lives. Enjoy it with us in 2014.